Currently playing this scenario vs Randy Yeats. Randy's German. Going into bottom of turn 4. Germans have large concealed stack in a trench at 58X4. Russian 4-4-7 w/ 8-1 and MMG in trench at T# and 4-4-7 in trench at U4. Half squad w/ mtr abandoned his trench at X7-not a good idea. Broken and killed in X6. 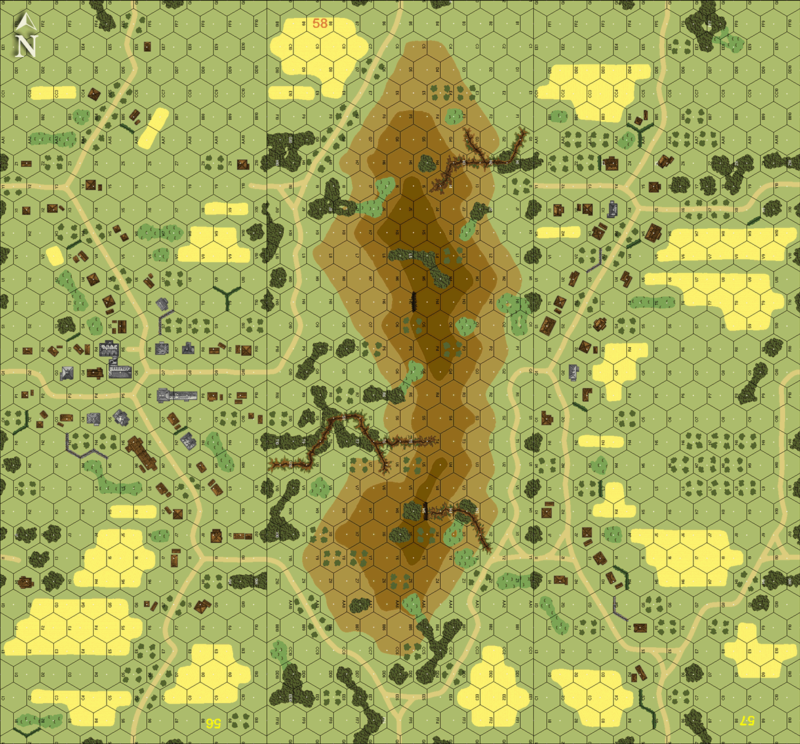 Almost the full German force came up the south end of board 56 and up the south side of the hill. OBA has not been fired for effect yet and the spotting round is at 57J7. The Stukas make their appearance this turn. The 37L AA guns are still emplaced and functioning and the 50cal is built and loaded though. Sould be an interesting turn.